​That the weather is crazy, there's no doubt about it. 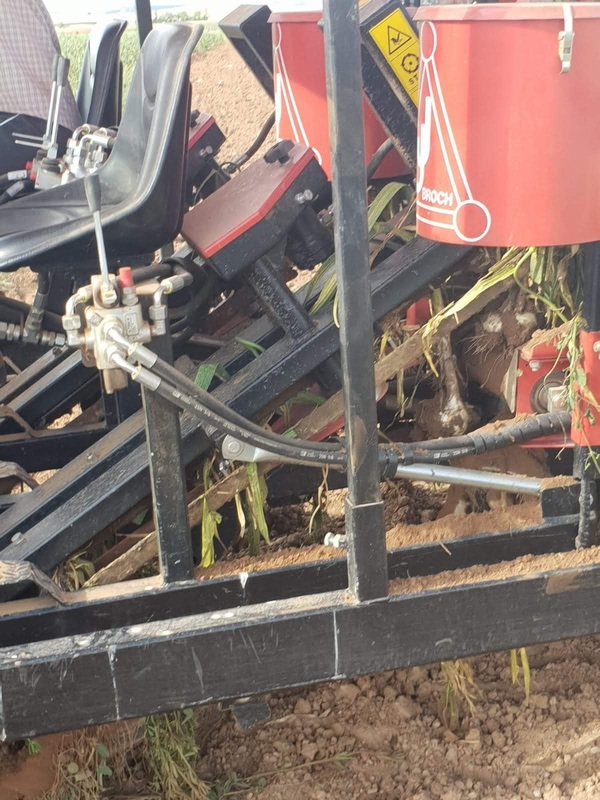 If last year we had a poor harvest due to the great drought, this year it is just the opposite because it has rained a lot and in many places even too much. 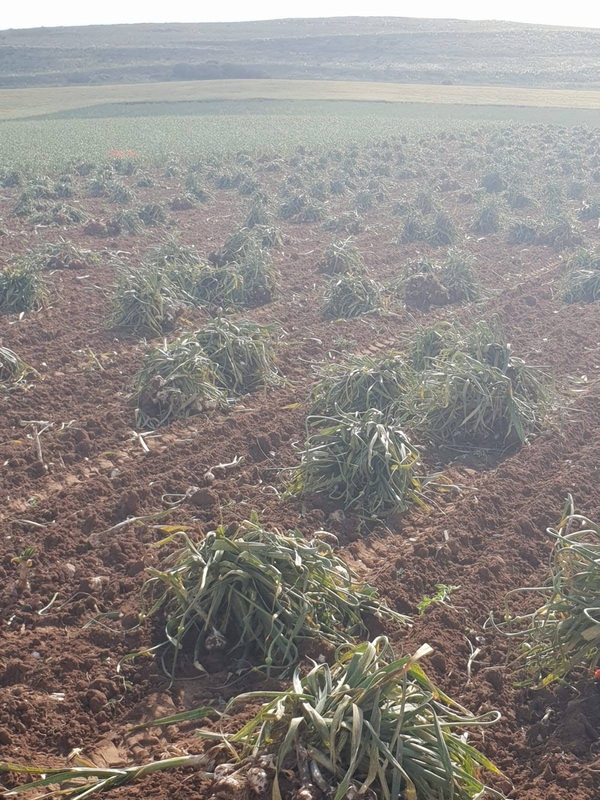 In our area a good harvest of cereals is expected, although we will have to wait to see if this is really the case because the combination of so much humidity with weather variations from cold to hot and vice versa generates a multitude of diseases that can spoil the harvest and this spring is too wet. 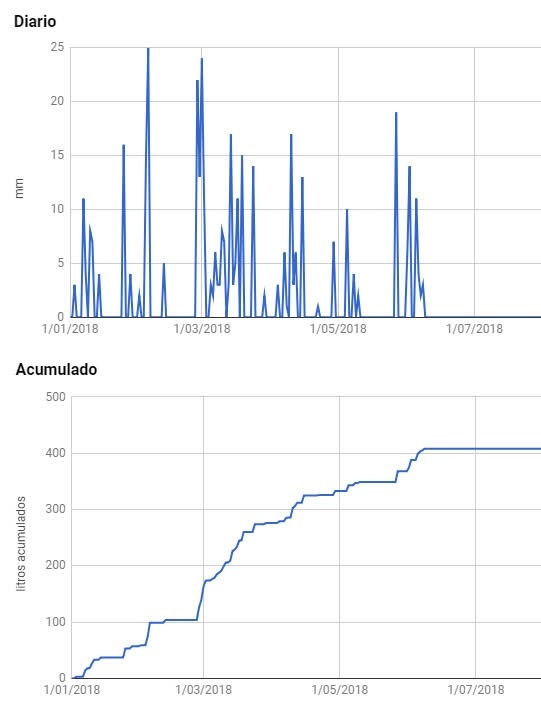 As you can see in the first picture, we have had more than 400 mm of rain in our area since the beginning of this year 2018. 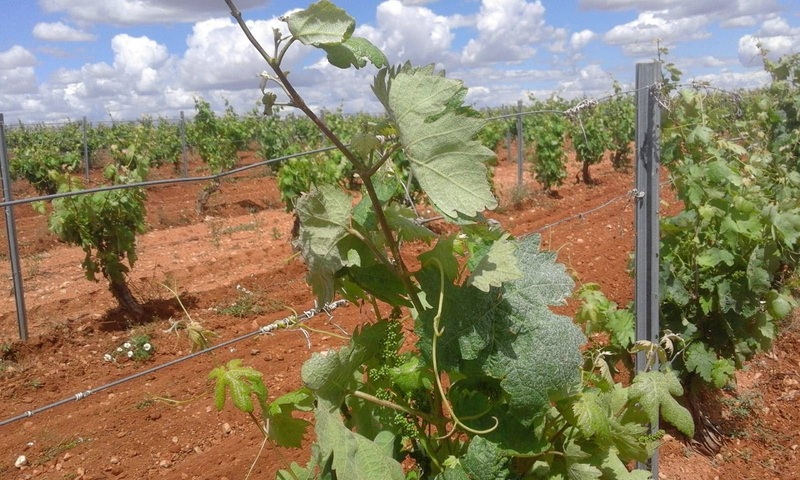 Last year there were 309 mm in the whole year and in many cases very poorly distributed as there were many periods without any rain at key moments for the growth of crops. Another example that the weather has changed is the one that one of our farming friends, Timo, from Finland, sent us a few days ago. 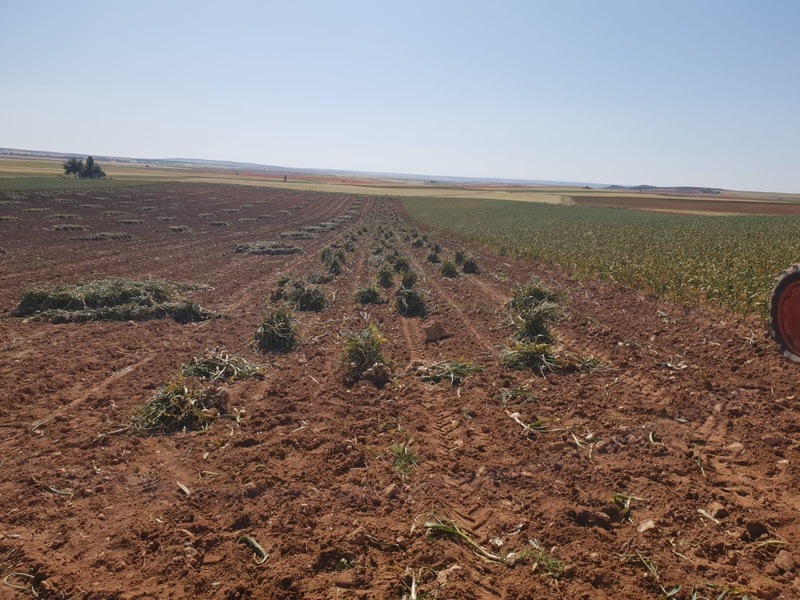 They are used to have a lot of rain there and this year they are worried about the barley that sowed a month before because it hasn't rained for three weeks and they think the crop will have serious germination problems. 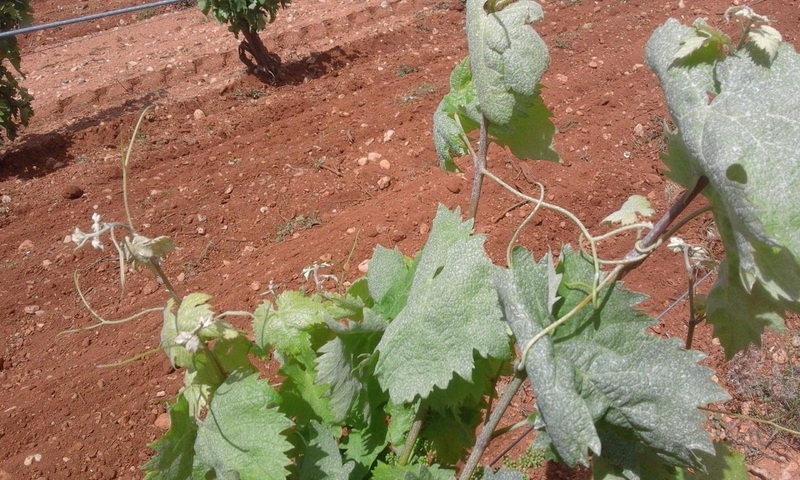 The winegrowers are totally busy with phytosanitary treatments, especially with fungicides, to prevent mildew and oidium (phytopathogenic fungi) in the vines. We have had to treat the lentils (with copper and fungicides) to prevent rust. The legumes are suffering a lot and even some, such as the yeros, are spoiling, having an appearance of being burned, also by rust. 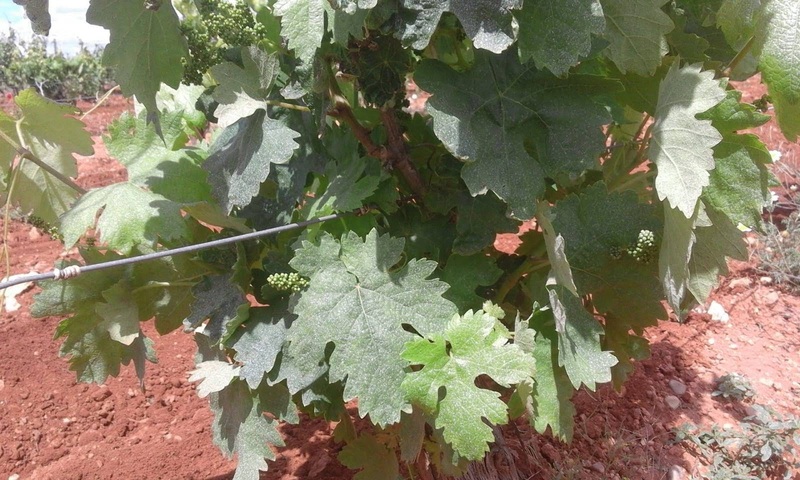 Remember that this disease causes weakening of the plants as well as premature defoliation and floral abortion. In very intense attacks the plants dry up and take on the appearance of being burned. 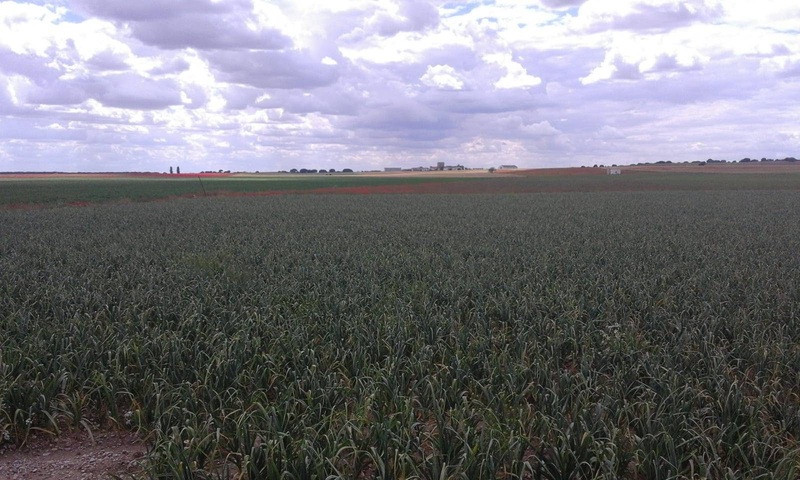 As for wheat, we will also have to be very careful, although our area is not a wheat producer. 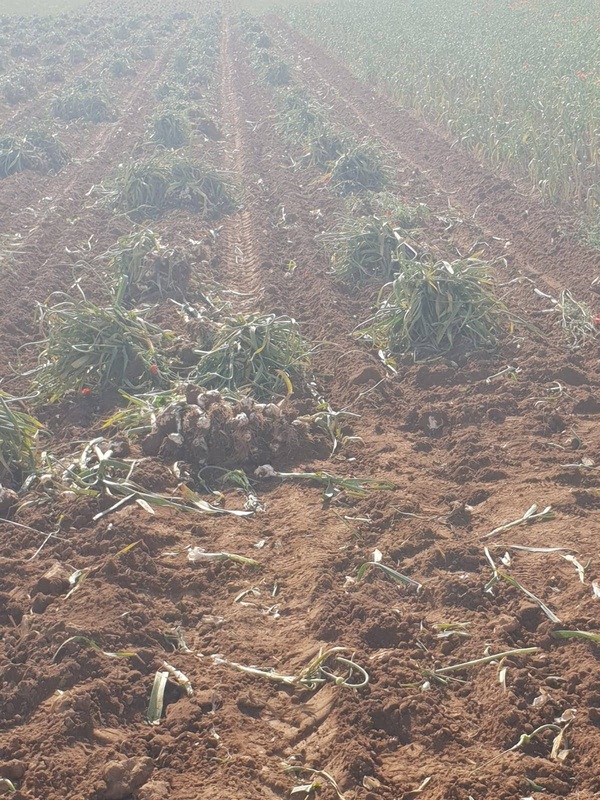 The harvesting of spring garlic has already started and it is also having problems as the garlics come out with a lot of mud and therefore makes it more difficult to harvest and cut roots and stems. We'll see if they don't affect the quality. 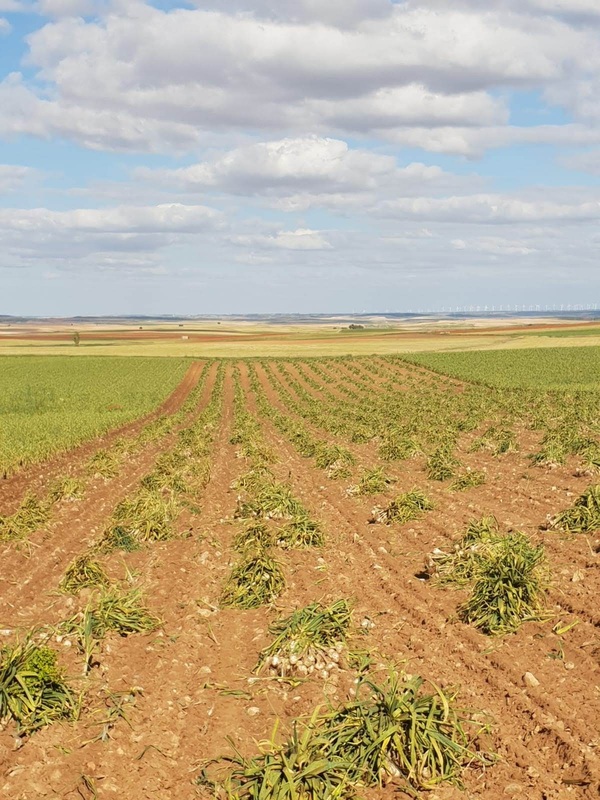 And finally, regarding the purple garlic, there are also fears about the fungus called "blanquilla", which usually begins because of the lack of heat and excessive humidity. 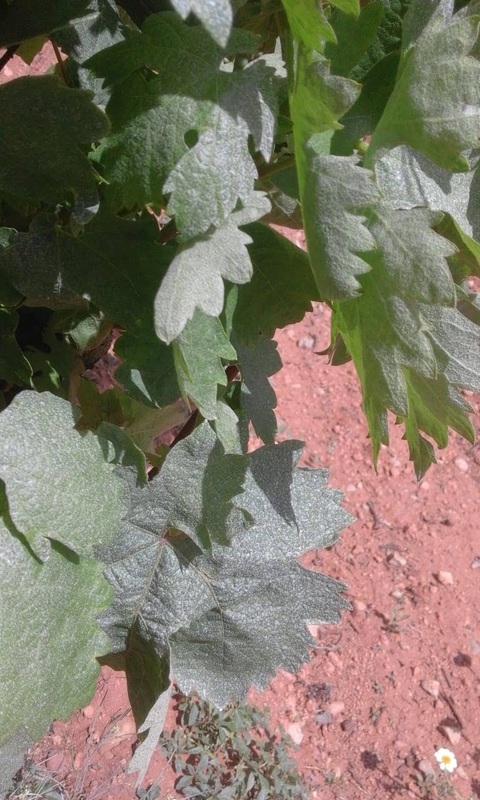 In the pictures you can see some leaves of adult vines after the treatment with hydraulic spray. I insist on the sprayer because as you see the treatment has many small impacts that is the quality mark of a treatment and with a sprayer which is blamed for having too little drop and too big against those who defend the atomizer or even the nebulizer because as you see the sprayer with the right pressure also does a good job. 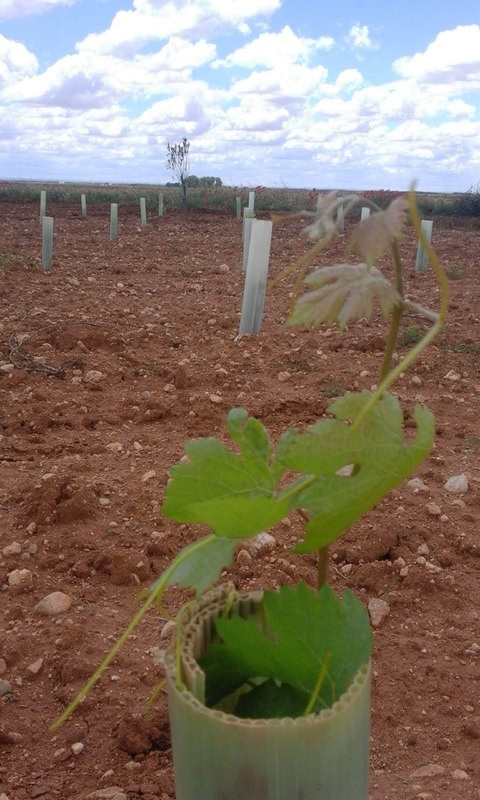 In the last picture you can see a newly planted vine that is already protruding from the protector and is therefore about 50 cm high. 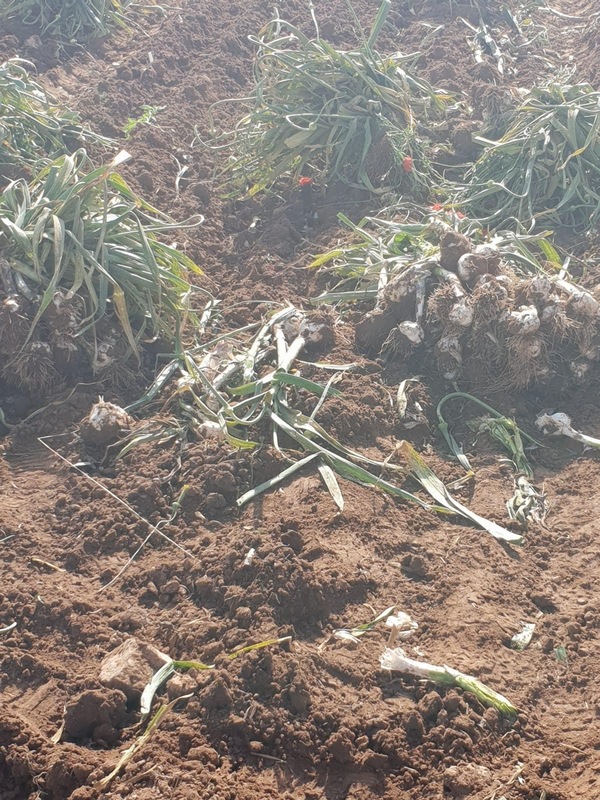 Finally, you can also see the problems that are occurring in the harvesting of spring garlic, having mud on the roots. Surely in other areas the problems are different.... all the excesses are bad. We are looking forward to your comments.